The ancient Greeks called it ”Omfakion” and today, Europeans consider Agourelaio a first quality Premium extra virgin unripe olive oil. Sakellaropoulos organic farms were the first in Greece who packaged organic unripe olive oil Agourelaio, a premium olive oil made from Koroneiki variety unripe olives, with intense green color, very low acidity which usually ranges near 0,1%, with cold extraction at 18-20° C.
For the organic unripe premium extra virgin olive oil Agourelaio, the harvest and extraction of the olives take place in October, require double quantity of olives for its production as opposed to any common olive oil, resulting in a precious unripe olive oil in the category of organic functional olive oils that stands out for its rich, fruity and characteristically bitter and pungent flavor. Authentic olive flavor, aromas of nature, diverse aromas are characteristics that make Agourelaio Premium a unique and precious unripe extra virgin olive oil. The organic unripe olive oil Agourelaio results in an ideal choice for taste and health, with many antioxidants and health beneficial properties (polyphenols), while complying with the health claim Reg. 432/2012 of the E.E (high phenolic olive oil). 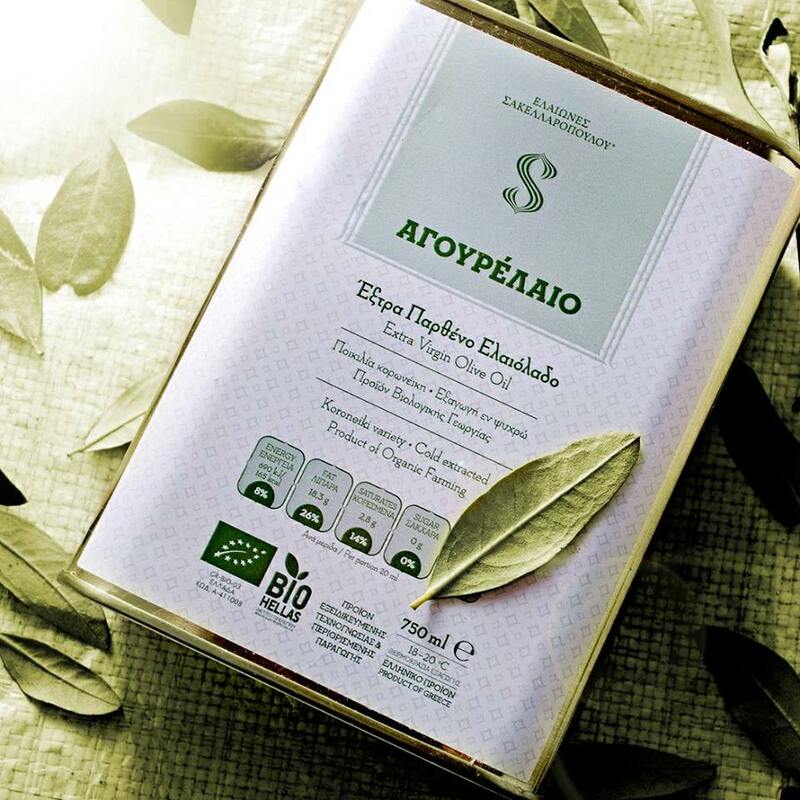 The organic Premium Agourelaio (unripe extra virgin olive oil) is an olive oil that impresses even the strictest of olive oil experts, while being one of the most multi-awarded Premium Greek extra virgin organic olive oils in international competitions.